I remember seeing the DVD cover for this at a Circuit City a long time ago. Also remembered the Cinema Snob reviewing it as well as the sequels and this movie made the director, Lucio Fulci into a horror icon. There was also barf bags when this movie was in theaters in case it was too graphic, but now people throw up when there’s too much shaky cam in theaters nowadays. Anyway, on to the movie, the movie starts off with someone shooting a dead body in the head and putting this body on a boat. After the opening credits, the boat makes it to New York City where some cops see it. Just so some people know there’s a lot of bad dubbing in this movie since it was an Italian exploitation movie. After the cops board the boat a zombie is onboard and one cop gets bit, the blood also looks kinda like red paint when it happens. After the zombie falls overboard they bring the boat to shore where this girl confirmed it’s her father’s boat. Then this reporter gets info from a guy played by Lucio Fulci himself as a cameo to check out the investigation. Both the girl and the reporter go to the dock at night and we get to see a “Fakeout Makeout” from them and then they find some info from the girl. Something about the boat came from an island somewhere so they try to go to that island. Along the way we meet Dr. Mennard, trying to find a cure for what’s happening to the island people. His wife wants to leave but he wants to stay and do everything he can to make sure what’s happening to the island people doesn’t spread to the mainland. The girl and the reporter get a boat ride halfway there to the island from these people. One of the boat people go do some diving and see one of the zombies trying to attack a shark and the shark is a real one as well. I hear sometimes there’s legit animal killing in some of these Italian exploitation movies but it seemed like only this shark gets hurt in the movie. After that, the movie goes to Dr. Menard’s wife and the zombies end up attacking her at her house. There’s this scene where she gets a massive splinter in her eye and it’s pretty gruesome so I just skipped it. When the boat with the girl and the reporter make it to the island they try and find Dr. Menard and he tells them to find his wife. When they do it is pretty gruesome as well and then we see the zombies rising from their graves. One of the island people mentions there are zombies as a part of some voodoo curse and it’s almost like the hell filling up speech from Dawn of the Dead. As the crew gets back to Dr. Menard’s research tent the Dead people there end uprising and it’s also a bit weird since the people alive don’t try to run away. During the struggle, Dr. Menard ends up getting bitten as well as the boat crew while the girl and reporter try to burn down the tent. When they escape though they find out that New York City has been overrun with the zombies and then it ends. This movie seemed a bit okay and I looked up his IMDB to check out some of his other movies but might not watch them, at least on a full stomach. Though if you like these movies try and give them a watch since they seem to be more about atmosphere, tone, and a foreboding mood. First saw this on either the Shout TV! App or the Tubi TV app, thinking it would just be like Thunderbirds but in different outfits. This was different, the good different, this show first takes place on Mars in 2068 where some people destroy a Martian City. It feels like a misunderstanding but because of that, the Mysterons think of the Earth as a threat. The Mysterons can recreate an object or person but they have to destroy the original form first. It seems at first the Mysterons have on physical forms so they use Captain Black of SPECTRUM as their agent. The first episode gets everything rolling and explains who Captain Scarlet is and what happened to him. SPECTRUM is also this organization that combats the Mysterons threats every episode and is who Captain Scarlet works for. They also have a Flying Fortress with a crew and a squad of female jet fighter pilots called “the Angels”. After the first episode, it’s the established that Captain Scarlet is himself again and is indestructible. Even though when the doctor explains his condition it sounds like he can regenerate than be indestructible. Captain Scarlet ends up being the way to combat the Mysterons when they tell SPECTRUM what the will do. When the first few episodes were done I was hooked! The story feels dark and the episodes are around 30 minutes which isn’t very long compared to Thunderbirds. Give this a watch when you can since it has the same Thunderbirds animation but a bit of a darker story to it. You can find this on either the Shout tv! App or the Tubi tv app if you don’t mind commercials in the videos. This movie starts off with the old Universal pictures opening. Then after the opening credits roll the movie starts off in some old town where some survivors try to find medicine. We’re also introduced to this big van/truck/tank called Dead Reckoning that shoots down most of the zombies there. After that the survivors to this island city which is supposed to be their home. There’s also one place in the middle of it all in called Fiddler’s Green where people forget about the zombies. While everyone else outside lives dirt poor like in the Edgar Allan Poe story Mask of the Red Death where the prince has a big party in the castle and forgets about the plague outside. There’s also this on guy Cholo, played by John Leguizamo, tries to get a place in Fiddlers Green by persuading the owner. Played by Dennis Hopper and this movie was when I was starting to noticing him. There’s also a sense of deja vu since both actors were in the Super Mario Brothers Movie if you remember that at all. When Cholo doesn’t get his place he takes Dead Reckoning and threatens to destroy the city. The stars of Shawn of the Dead are in this bar scene also as zombies since George Romero was a fan of the movie. There’s also a zombie, Big Daddy, then gets an army of zombies and slowly make they’re way to the city. When they rise out of the water it like from the scene from Carnival of Souls. That was from what I’ve heard of it that is, but I’ll have to see Carnival of Souls myself one day. When the main hero get’s to Dead Reckoning he reasons with Cholo and they go back to the city. 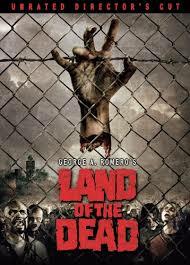 Which is getting overrun by the zombies and the Ton Savini biker makes a cameo as a zombie. Some of the blood is CGI which is fine by me since he probably had a small budget. This movie also has a dark setting, literally, which creates a lot of atmosphere. Not as good as Night, Dawn, or Day but maybe because there was so many zombie movies around at the time it came out. I might not review Diary of the Dead or Survival of the Dead since I saw a but of Survival of the Dead and thought it was kind of dumb. Also for Diary of the Dead’s way of filming as a home video horror movie I don’t quite like. That sub-genre is just a little too overused a bit but I like the idea of that anyone can be a filmmaker. I don’t read many Spider-Man comics since it all seems average and the same. Also his enemies seem at times to be one dimensional overbearing bullies. They at times just take their anger on people who can’t fight back and then Spider-Man comes to stop them. That’s what I thought most of the comics were, at least the cartoons made me think that. 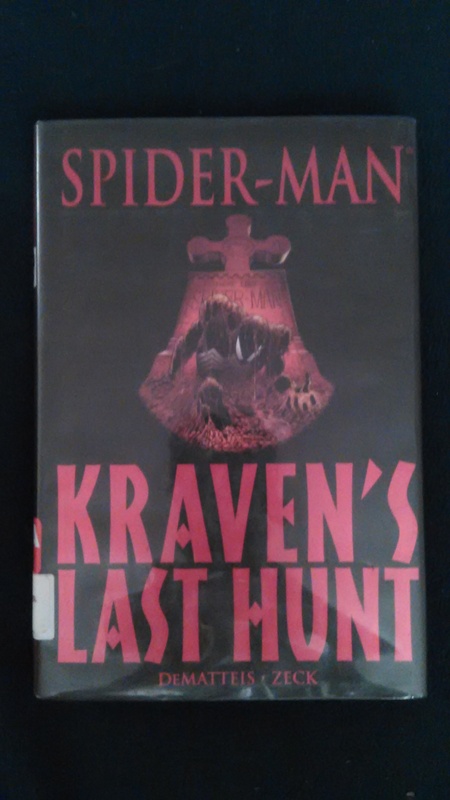 The story is about Kraven doing this one final hunt for Spider-Man. At first it seems like Kraven won and he wears the black spider suit to fight crime his way. On the surface it seems like Kraven is just trying to destroy Spider-Man’s reputation but Kraven says he’s trying to be the Spider. There’s also some scenes where Kraven goes crazier trying to fight a giant spider. Kraven also tries to capture this weird guy the Vermin to hunt him I think. I’m not going to spoil the ending too much for Kraven but he seemed a bit redeemable at the end before he did what he did after that. I watched this when I was 10 or 11 and thought it was pretty good. To those of you who don’t know it’s about Bruce Wayne as an old man that gives up Batman since he’s aging. 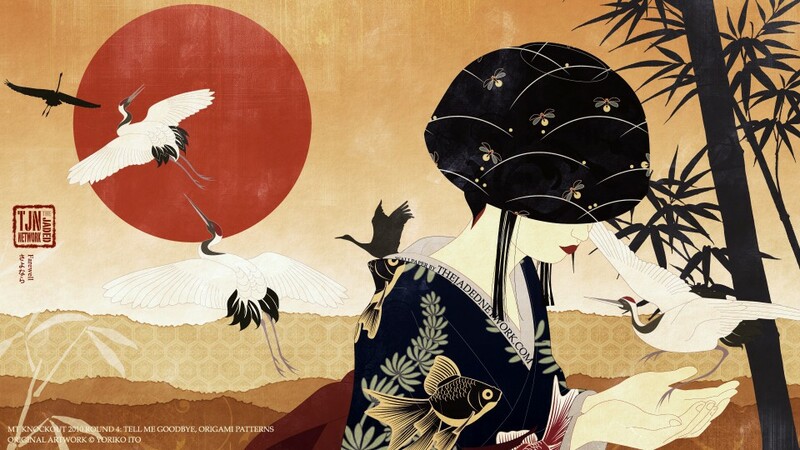 Fast forward to…the future, as I like to call it. A kid, Terry Mcginuess ends up getting in trouble with a gang and Bruce as an old man helps him. Through a series of events Terry loses his father to the gang and finds a way to stop who sent the gang after his father. Bruce Wayne then ends up mentoring Terry as the series goes forward. Watching it now on Netflix I’m surprised how dark it could be and how it entertained the audience past 5 years old. Sadly it didn’t get a chance to end. Not until the last episode of Justice League Unlimited season 1 which is the official ending to Batman Beyond. 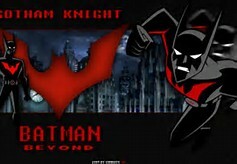 They also made a movie Batman Beyond: Return of the Joker and I’ll review that soon. I’m also surprised that the person who voiced Bruce Wayne, Kevin Conroy was still in this series. Also the person who voiced Terry, Will Freddie, did good especially in Return of the Joker at the end of the movie. Anyway give this a watch on Netflix before it gets pulled since it’s pretty good for a Batman cartoon.